This beautiful planter from Portland's Design Night would provide the perfect spot for a new collection of flowers and herbs. The larger opening up top allows for a sprout that needs some more space to get settled and root, while the pockets on the side are ideal for smaller greens. Inspired by forms found in nature (we think it looks a bit like a lovely 18' tall, 22' wide artichoke), the hand-finished and glazed piece can be used indoors or outdoors, and comes in a deep grey and bright yellow (in addition to the white pictured). The geometric Shard Planter Bench is more than just planter or bench—it’s a sculptural piece of art. Designed by Charles Constantine for Planterworx’s Element collection, each Shard Planter Bench is custom made to the dimensions and specifications desired by the client. It’s an investment piece, though a truly spectacular one. Phase Design’s Griffin planter is as substantial as it is stunning. Made from hand-sanded fiberglass with an automotive polyurethane gloss finish the Griffin measures in at 18-inches high and 16 inches in diameter and the Griffin XL at 28-inches high and 20 inches in diameter. Good for the indoors though better suited for the backyard, the planter can also be complemented with the Griffin Stool/Table, which features the same shape but topped with a 1.5-inch solid walnut butcher board lid. You don’t get much more mid-century-modern than the Pod from Pad Outdoor—and once you see these, you’ll want many more than just one. The aluminum planter, finished with an exterior-grade powder coating, comes as a half skirt (shown) and full skirt and can be placed directly on the ground or atop a 15-inch or 22-inch (shown) stand. Available in white, red, orange, brown, gold, and seafoam. This mid-century-modern-style planter, which stands 26 inches high, rings of Case Study House qualities but speaks strongly to those captured by recently renewed cravings for all things ceramic. Available in matte glazed, gloss glazed, and natural bisque. Gandia Blasco’s Sahara series features five plastic planters that are not only deceivingly lightweight but also can be outfitted with an interior light so they glow at night. Available in white, black, terra cotta, olive green, sand, pistachio, and brown. 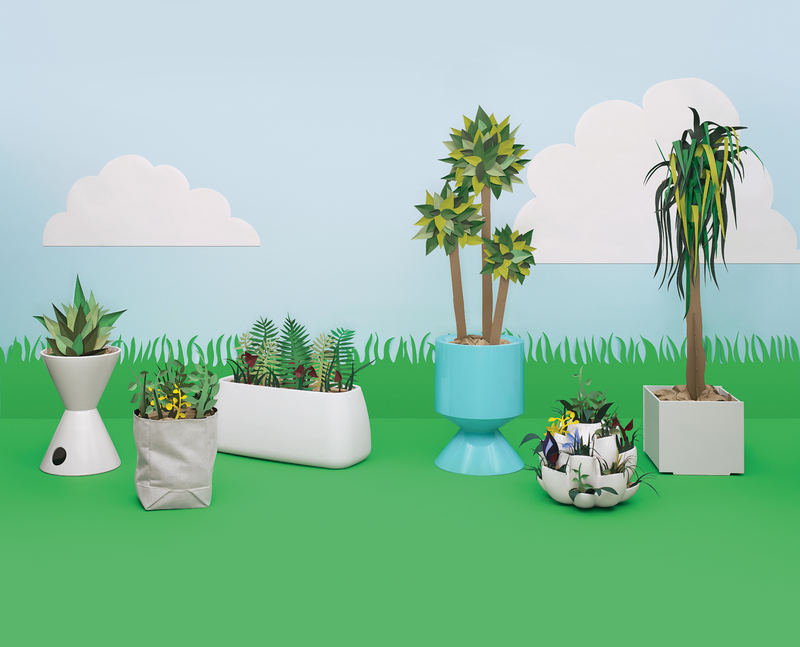 Loll Designs’ planters are made by the company’s signature 100-percent post-consumer recycled plastic from used milk jugs. Designed to withstand the elements, the planter also was created to encourage drainage, with its joinery made to allow water to escape through its edges. Available in black, sky, white, chocolate, leaf, and apple. 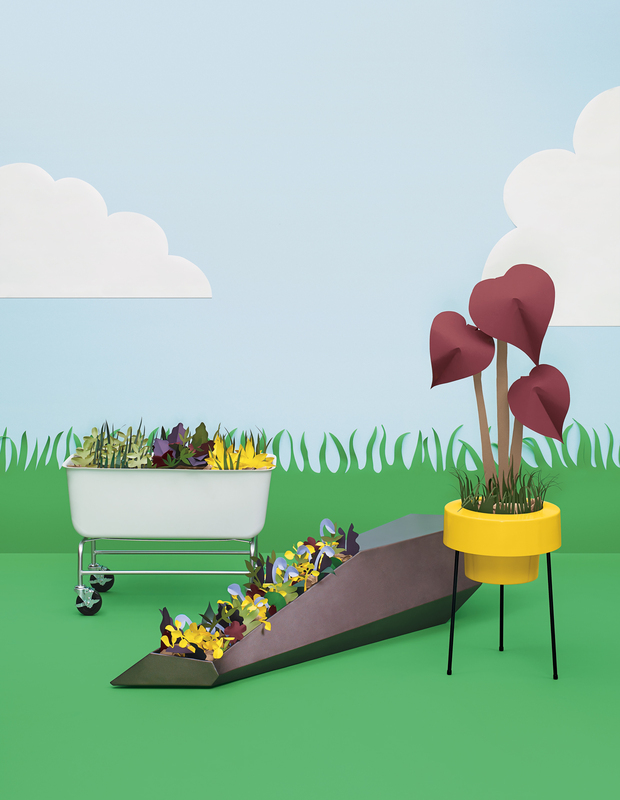 The Food Map Container may look like a bathtub but is the ideal planter. Its lightweight recycled-plastic basin features a contoured drainage system built into the bottom and it sits on a metal-tubing frame and locking rubber casters, which makes moving it a breeze. to one’s health, Trueman recommends the material, which is also used in the Sahara 5 by Gandia Blasco and 18" Square by Loll Design, as it is often recycled and recyclable, lightweight, and lower in cost than metal or ceramic. A missing key feature like a drainage hole, however, shouldn’t automatically eliminate a planter from your list of possibilities. Woolly Pocket’s Ridge is made of breathable fabric that wicks the water out of its sides and base, and the 18" Square joinery allows for water to escape through its edges. 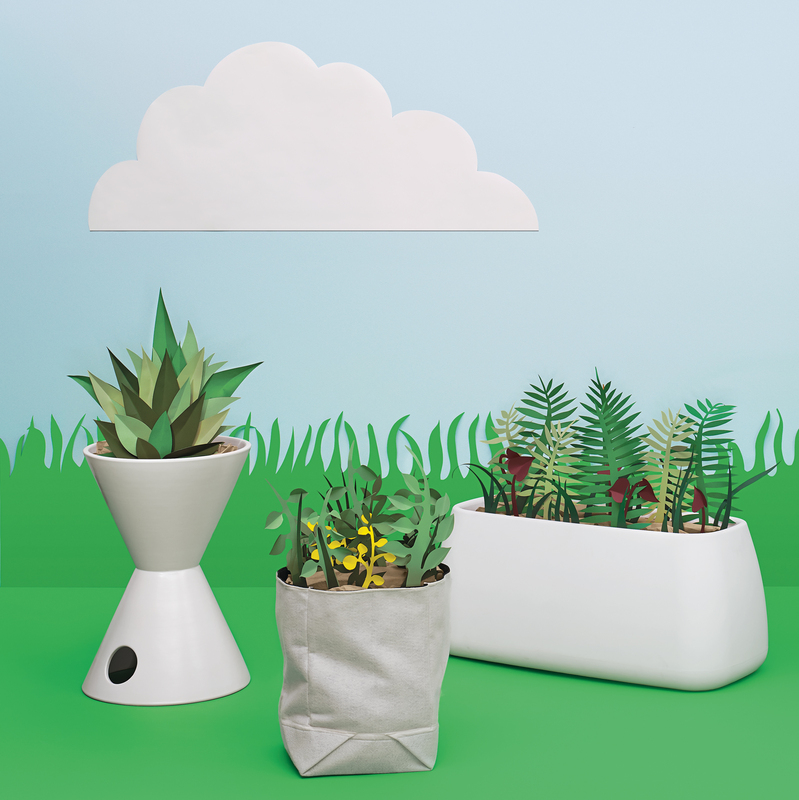 For planters that steal your heart based on their aesthetics but lack a drainage system—–like the mid-century-modern-styled TH-4 by Architectural Pottery and Pod by Pad Outdoors—–Trueman suggests layering the base with packing peanuts. “It’s one of the few good uses for Styrofoam,” she says. The airy bottom layer will let water drain out of the soil, preventing root rot, and reduce the total weight. So whether you live on a farm or in a 400-square-foot apartment, the question is no longer if you should plant, but which planter to pick.